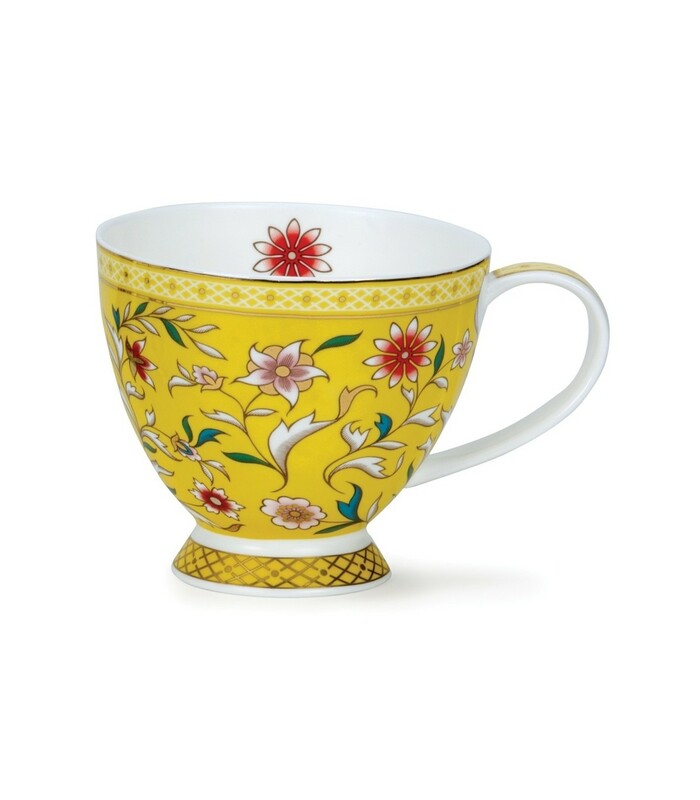 Featuring an oriental inspired design by David Broadhurst, this beautiful cup has a yellow background decorated with stylized flowers and geometric patterns with an eastern influence. Inside the rim a flower from the exterior pattern adds detail and the whole design is overlaid with 22 carat gold tracery, including a criss-cross pattern around the footed base. This luxurious appearance makes this a lovely cup to drink from, whether on special occasions or every day! After training in ceramics, David started his career as an engraving apprentice at Wedgwood in 1969, later moving into design and illustration and going freelance in 1992. He is very much inspired by classic art and design, receiving a lot of commissions for commemorative designs such as the Queens' Jubilee.